Singh Movers is a specialized company in providing the quality and professional Removalists Kensington. Looking for the Furniture Removals services from the leading companies? We have proud of ourselves in providing the best service as being the FURNITURE REMOVALISTS KENSINGTON. You can fully expect from us a professional service in the Furniture Removals industry. You can expect a professional, reliable and a budget-friendly move to and from Kensington to any other place being it an Interstate Movers. Our qualified Furniture Removals team is fully trained in all of the areas like a household, office or industrial areas. With our extended and vast services including the packaging and unloading of the materials, we the FURNITURE REMOVALISTS KENSINGTON make your move an easy task to be done. Singh Movers And Packers will make your move very easy when you chose us as your Furniture Removalists. We offer the services which cover each and every step of your relocation including the packaging with bubble wraps, storage facilities, arranging the insurances etc. Singh Movers understand how stressful the Furniture Movers can be, so we, Singh Movers, are here to take it on your behalf. You all should rely on our team of experts and specialists and the only thing you have to do is to sit back and enjoy your exciting journey of the FURNITURE MOVE. We are always glad to make you happy with our quality services. With the proven track record of around 10 years, you can fully trust our company to organize your Furniture Movers from packaging the stuff to settling it. We know well that the process of moving the furniture stuff is stressful and much tiring. Without the essential knowledge and the skills to carry a move efficiently, you might be asking an injury to come forward. In order to stay away from all that, we, Singh Movers, have a professional team having years of experience in the field of Furniture Movers will carry your move in an organized way. If you do not want to end up with an injured back or other issues, Singh Movers will assist you in every possible way. Our work is to serve our clients facing difficulties in the various moves like Office Movers, House Movers, Furniture Relocation, Interstate Movers etc. 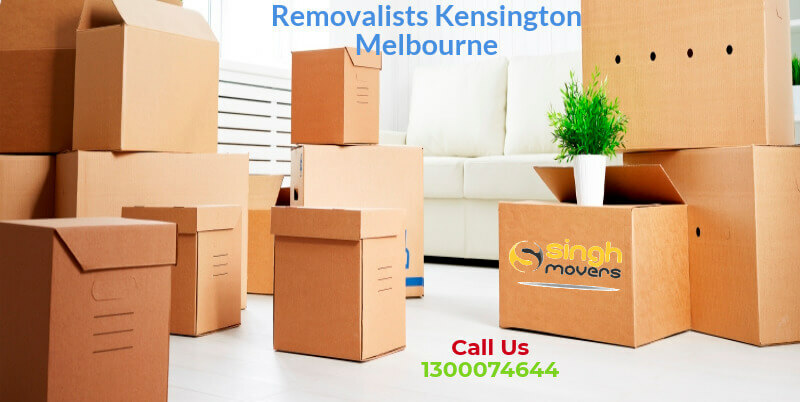 Serving the Melbourne area and all of the rest of Australia from past 10 years, Singh Movers has gained name and fame just because of its quality Removal Services. We not only offer the removal services but yes, we do offer you with the most wanted Storage Facility in every area. You do not need to worry for your extra stuff place as we will render you with several Storage Facility packages as well. We ensure you the quality service and we know that you will definitely be pleased by our Furniture Removals services. What All Does Singh Movers Furniture Removalists Kensington Services? At Singh Movers’ we do not charge any extra prices of the depot to depot. You just have to pay once and that’s it. Customers are required to pay only the price mentioned in the quote. Rest no extra charges would be imposed on you. As mentioned above no fuel charges will be applied on you. Our sole belief is to work for the customers without burdening them. Our company utilizes proper handling measures to ensure the safety of your belongings. Our company uses professional tools like trolleys, dollies, heavy duty blankets, toolkit for assembling, disassembling the furniture, ropes, shrink wraps etc. We ensure you the safest move by our professional team members who are having years of experience In the field of INTERSTATE MOVERS. We have enlisted all the charges before to all the customer in our company’s quote. We don’t work for the sake of money. We just believe in providing the amazing work as we work for the success of this company and for the happiness of our clients. Our customer care executive team is all set at the backend to help you all with your every doubt and queries. We will solve each and every problem. You can call or mail us 24*7 as we are available round the clock for our client’s assistance. WHY SINGH MOVERS AS A CHOICE OF FURNITURE REMOVAL? Singh Movers is always believed for their quality service at budget-friendly prices. We render our customers with all the facilities at the minimum price possible. Charging low doesn’t mean our work quality is not good. Our company’s main motto is to offer the customers with the services at low-cost. Every customer has this doubt of getting the stuff on time as many other service providers promise to deliver the stuff on time but later create issues. But why Singh Movers And Packers? Because Singh Movers is truly punctual with their timings and never disappoints their clients. Our timely and swift delivery will always put a big smile on your face. Singh Movers is fully trusted for the safety of the stuff as we plan, pack, and unpack the stuff using various professional tools and by undertaking proper safety measures. Trust us and give us a call to hire for the services. Singh Movers is a company of movers and packers at whom you can rely upon for all sort of work as we do all the work by ourselves itself once you hire us. You do not need to worry at any point of the shifting process. We are fully insured removalists in Melbourne. Though there never happens any sort of trouble if sometimes it happens for the goods in transit, we pay up to $100,000. On the other hand, for any harm to the public, we pay for the public liability around $10,000,000. HOW DO SINGH MOVERS MAKE YOUR FURNITURE REMOVAL STRESS-FREE? SINGH MOVERS initiate the process according to the client’s requirements. We provide the clients with some timing but if they do not agree with that, then the mutual timings are decided for the process to be initiated. Kensington is a suburb of the city Melbourne in Australia which is around 4 km north-west of the Melbourne’s central business district and is located within the City of Melbourne local governmental area. Kensington recorded a population of 10,812 according to the 2016 census .Alfred Deakin opened Kensington Primary School in 1881 and initially offered a place for 250 students. The cost of the new school was £ 1,800, and later it was further extended to accommodate 100 students. We will make sure that your tiring move be converted to the enjoying and memorable one because you will not have to do any sort of work and you will only be asked to relax. So, do not panic and in order to save yourself from the hustle and bustle of the FURNITURE MOVE, call SINGH MOVERS and we will show you why we so well-known in Melbourne and its suburbs are.